As we know, the world faces many challenges at the close of the millennium. These problems are now so severe and so interconnected that to try to solve any one of them within our present model of living is at best a Band-Aid approach. As a result, the projections are that our quality of life will greatly diminish in the next few decades. Knowing this, many authors have written many books advancing their theories about what can be done. Unfortunately, few, if any, of these books step out of the box and go far enough to really address the changes that have to be made. 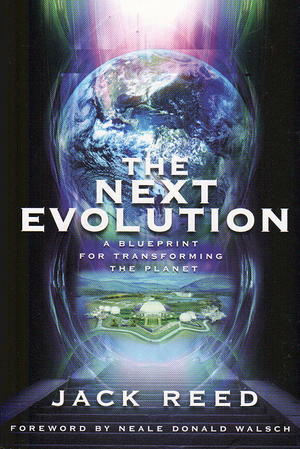 THE NEXT EVOLUTION: A Blueprint for Transforming the Planet asks and answers, in a simple and practical way, the question: How can we start making the planet work for everyone? This book challenges the viability of our every-person-for-themselves approach to living that has been so ingrained through thousands of years of practice that most people have never even conceived of an alternative approach—especially one that would include our entire planet. We are currently living and relating with each other and the planet in an archaic approach that is no longer viable if we want to have high quality life on the planet in the 21st century. The piecemeal way our lives are set up, the way our cities are designed, and the way our economy runs all operate such that the end result is that they isolate and separate us and impoverish our lives. They are set up for us to try to survive and get ahead on our own and to continue to intrude upon and destroy our environment. Therefore, we need to move away from this individualistic model to one that really works for and includes all of us and all life. We have to start acting like one family—where the needs of the one are the concern of everyone. Since there are enough resources and manpower on our planet for all of us to be living abundantly and in harmony with all life, what is the problem? Changing the way we live together in Community is the basic building block that is needed to transform the planet. The Next Evolution shows how we can design Communities on a "Highest Good For Everyone" model, and how we can live very, very abundant lifestyles—on all levels, not just economic—that would appeal to almost everyone while simultaneously restoring our environment. This is a total systems approach (the systems approach tells us that all things are interconnected), and, at this point in our history, nothing less is called for and nothing less will work. The two things needed to transform the planet are the consciousness of people living for the Highest Good and the creation of a model of what living for the Highest Good of all life would look like. While there has been a lot of work done and countless books written about the consciousness, few people have an understanding of what the form would look like because few really consider what can be done by combining the consciousness with the form. I think that this combination is what is unique about this book. Also, no one has described how we can live together in Community on a scale that is not only easily doable but would also absolutely heal and transform the planet and people's lives on all levels. The Next Evolution will be the springboard to naturally and peacefully bring about the greatest (r)Evolution in living since people first began the current way that we live and interact with each other. The Next Evolution is the product of years of visionary work by myself and a group of people, The Community Planet Foundation, who chose to take a very different look at how we are choosing to live together on the planet.